I am happy to finally post my latest DIY project, two retro bedside tables. 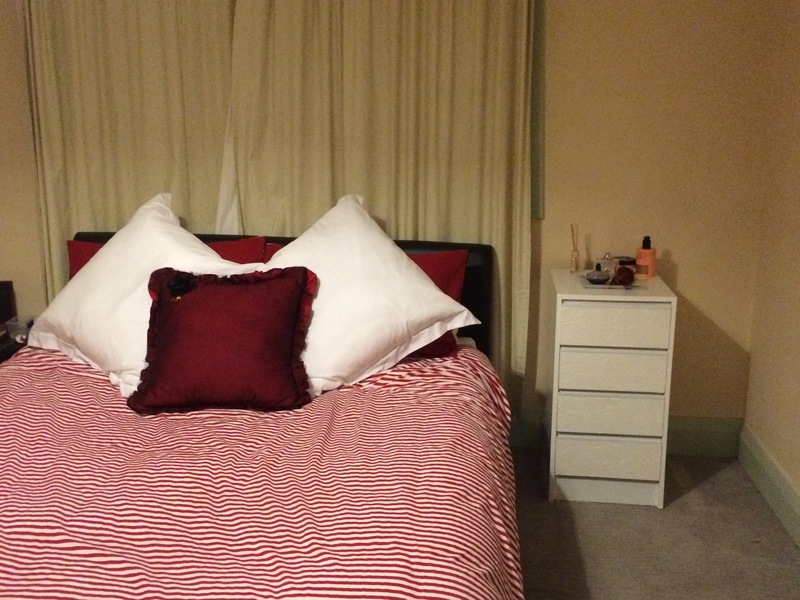 I was given the two bedside tables by Mitch’s Mum which where originally his grandma’s. So not only where they free but they also carried a bit of history with them as well. Originally my idea was to paint them white and put grey/silver wall paper on the drawers. However it is actually really hard to find wallpaper where I live. 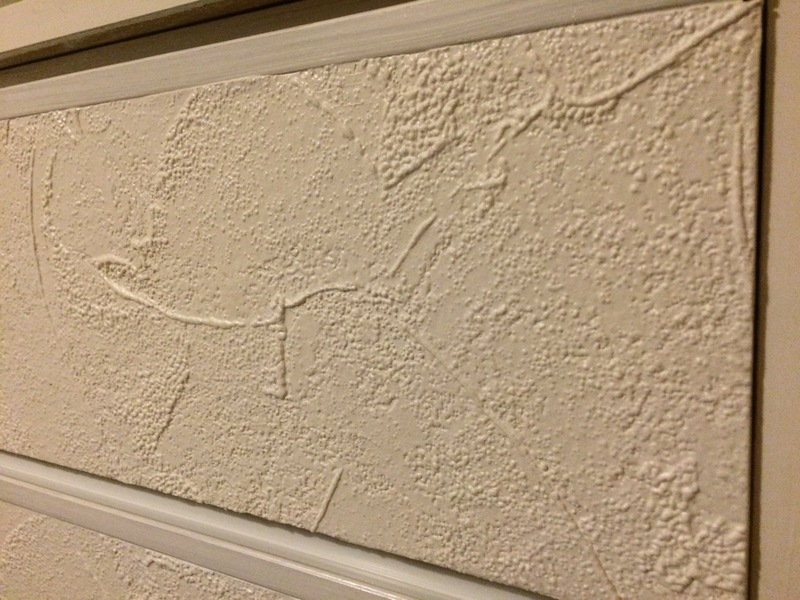 I was able to find some white textured wallpaper which is able to be painted. First I gave the tables a good wipe down with sugar soap. The next step was to stick the wall paper onto the front of the drawers using Selley’s Kwik Grip Gel. Once dry I then painted all surfaces with a good all round primer, I used White King Grip-lock Primer. 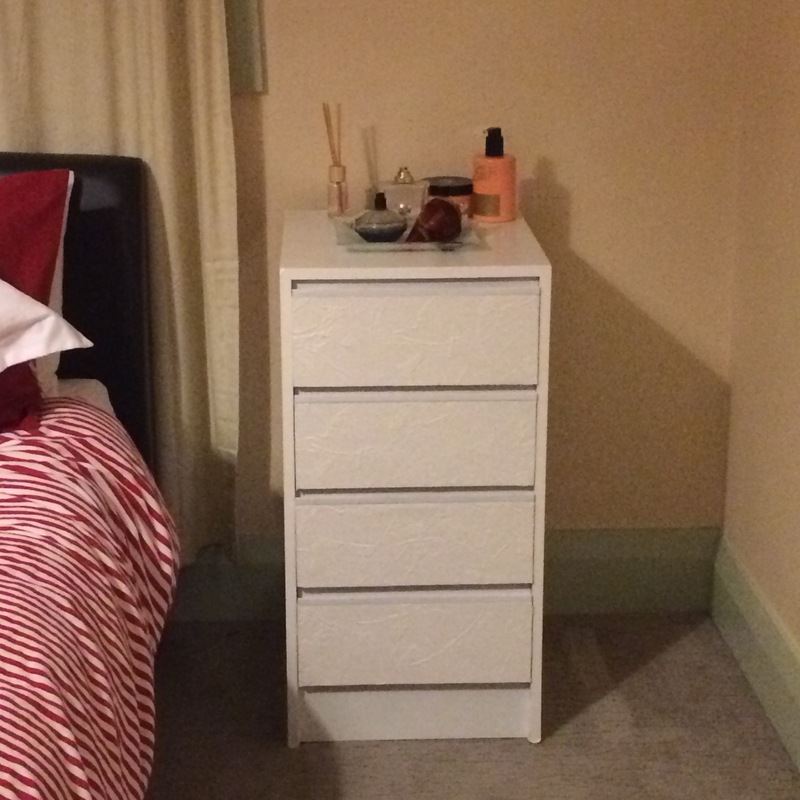 I then painted the bedside tables with two coats of British Paints white semi-gloss enamel. And below is the finished product. I have to say they turned out much better than what I had expected. After months of late night Pinterest searches I finally bought my first piece. 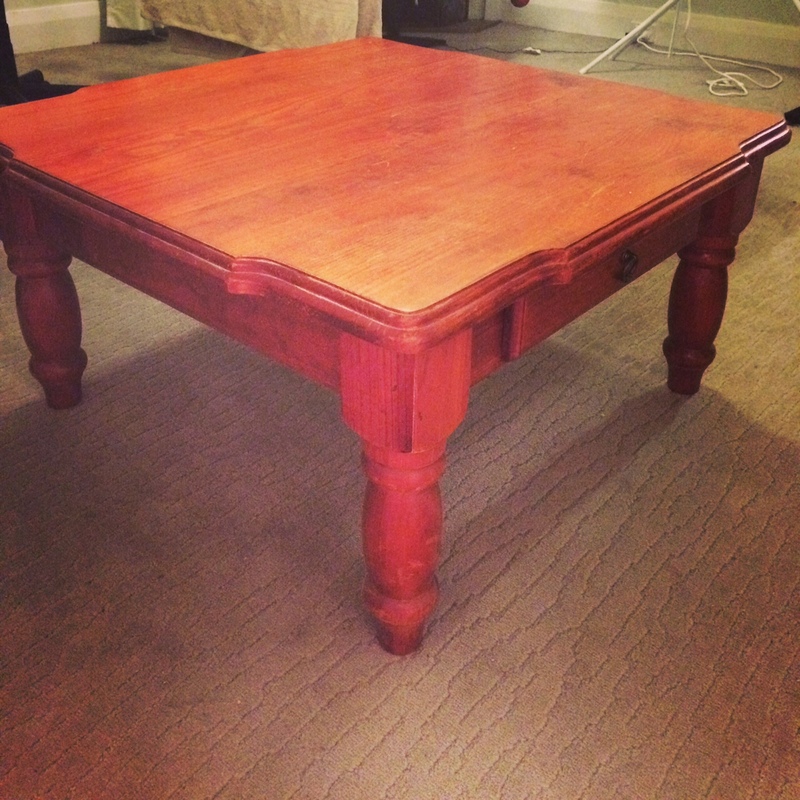 It was only small coffee table, but was very sturdy, which I bought for only $40 from my unofficial sister-in-law. Now the table actually sat in our back room for a few months before I finally thought, yep today is the day. So I grabbed the sander and let loose. It was actually quite easy to sand back the table top using an electric mouse sander, however I used sand paper and a bit of elbow grease for the legs and the trimming. 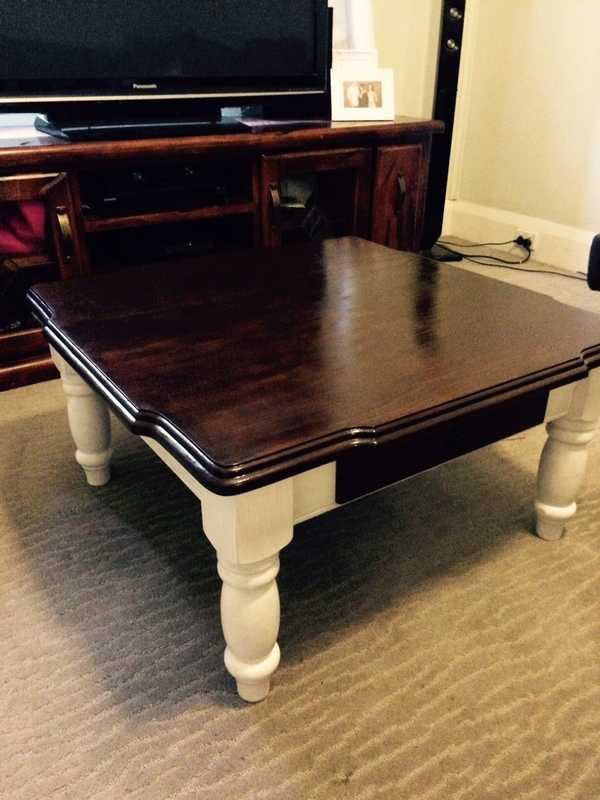 I wanted to go with the french provincial theme so I opted for a dark stain on the top and white for the legs. 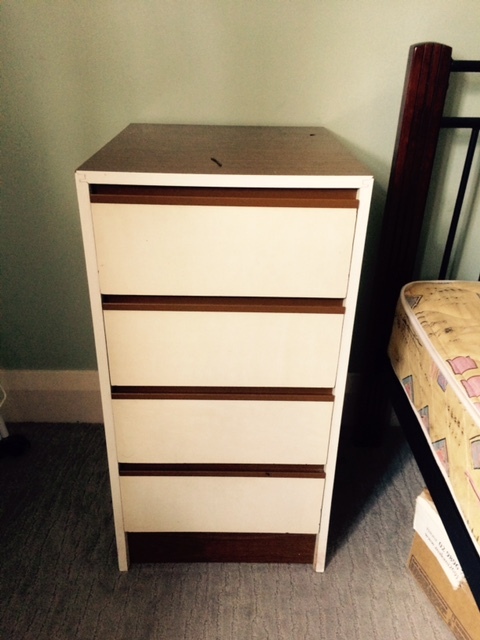 I left the drawer until the end as I was undecided whether to paint it white or stain it. I decided to stain the drawer as well, and I am glad I did as the finished product looks amazing! Considering how well the coffee table went both my partner and I have decided to strip the TV unit and DIY it to match the coffee table. (The TV unit can sort of be seen in the after photo behind the coffee table). Needless to say, I think I have caught the DIY bug and I can’t stop. I already have a number of items in the pipeline which I am planning of doing up so I will update you all with the progress.